India's one of the leading two-wheeler manufacturer, Royal Enfiled is planning to expand their production capacity at 10,000 units a month in the upcoming years. After the successful launch of two most popular motorcycle brands - Royal Enfield Bullet Classic 350 and 500, the company getting wonderful response from the Indian auto market. 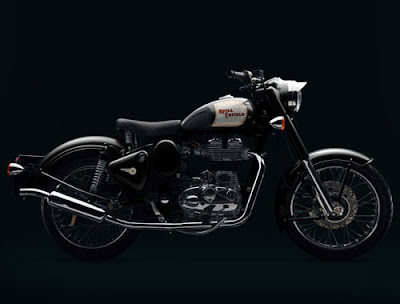 The demand of both Bullet Classic 350 and 500 growing tremendously well in the country. After getting huge demand of motorcycles from the Indian buyers, the company looking forward to increase production capacity by the next few years. “We will be continuously looking to ramp up the capacity, even up to 10,000 units to meet excess demand, for which we are looking at options of setting up a new manufacturing facility,” Eicher Motors managing director and CEO Sidhartha Lal told reporters on the sidelines of the India Economic Summit. The average production capacity of Royal Enfiled is around 5,000 per month, but in the last quarter, the company manufactured around 4,000 units of motorcycles per month, which is lower than the average capacity of 5,000 unites. Sidhartha Lal said that we will be reached again to the 5,000 units a month mark by nest year. Royal Enfield has strong line-up of motorcycles like Royal Enfield Bullet, Royal Enfield Bullet Classic and Royal Enfield Thunderbird. The all models of Royal Enfield are offering extremely well performance across the country. On the other hand, another major auto manufacturers are getting ready to launch their new bikes in India that includes Bmw K1300s, Honda Interceptor, Honda Cbr, Kawasaki Ninja, Hyosung Gt, Yamaha Yzf R6, Ktm Rc8, Triumph America, etc.